A dramatic story of the agony that lies behind the lives of immigrants, Incendies reveals the suffering that usually simmers within those who survive the brutality of war and begin another life in a new country. Nawal Marwan (Lubna Azabal), a Canadian immigrant from a war torn Arab country (Lebanon, although it is not named), dies in Montreal. Her notary and long-time employer Jean Lebel (Remy Girard) unveils Nawal's will to her twin children Jeanne (Melissa Desormeaux-Poulin) and Simon (Maxim Gaudette), who are in their 20s. Nawal's will reveals life-changing news: Jeanne and Simon have a brother and a father, both of whom they have never met. Nawal entrusts Jeanne to find and deliver a sealed letter to the father; and similarly requests that Simon deliver another sealed letter to their brother. Simon is not interested, leaving Jeanne alone to undertake a journey to Lebanon, where she re-traces her mother's steps from 35 years ago. Nawal, as a young woman living in a mountain village, had an illicit affair, which brought shame to her family and resulted in the birth of an illegitimate son. But that was only the beginning of her doomed journey, which finds her getting deeply embroiled in the sectarian violence of the vicious Lebanese civil war. As Jeanne uncovers her mother's history, she learns more than she had ever bargained for, and the revelations finally prompt Simon and Lebel to join Jeanne in Lebanon. The twins assemble all the pieces of their mother's devastating past, including the identity and history of their father and brother. Nawal's trail unexpectedly leads them back to Montreal for a final confrontation with the ghosts of war. 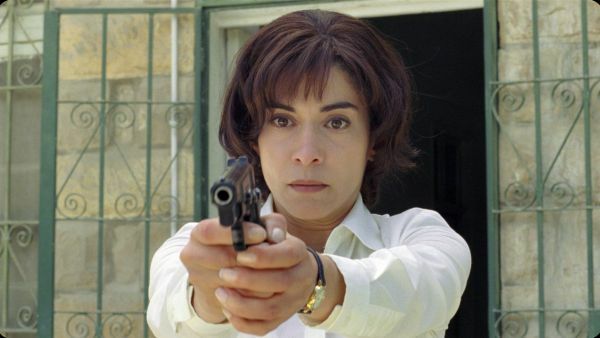 Lubna Azabal as Nawal and Melissa Desormeaux-Poulin as her daughter Jeanne are the spiritual centre of Incendies, forming a mother - daughter continuum across two generations. Azabal portrays Nawal as headstrong and rebellious; the stubbornness in the face of adversity persists with Desormeaux-Poulin, but she also gives Jeanne the softer, rounder edges that a Canadian upbringing provides. Director Denis Villenueve, who also co-wrote the script, allows the people, places and events to infuse the story with enormous power. Rather than staged set-pieces, Incendies draws it's strength from the overwhelming drama of a tumultuous history revealing itself gradually but with excruciating pain. Like a band-aid being slowly removed, once the process starts it cannot be reversed, and the agony just gets worse. Villenueve captures the horror of the Lebanese civil war in broad strokes. 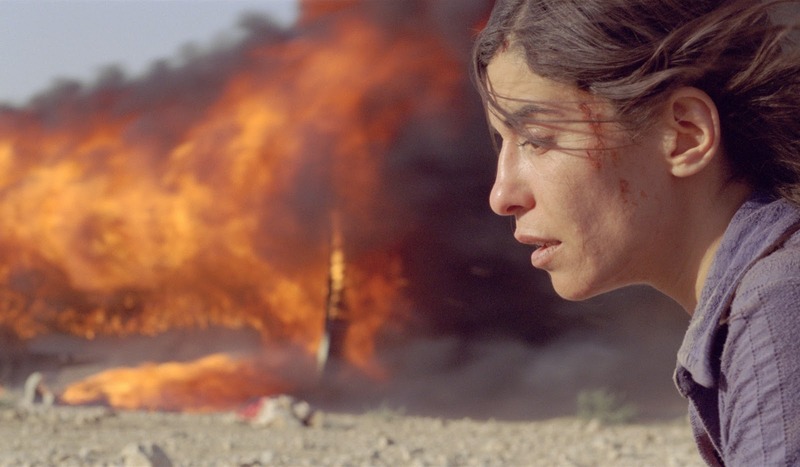 The locations, details and dates are not meant to mimic history, but the sum of what Incendies presents perfectly grasps the essence of a de-humanizing dirty little conflict filled with ethnic and religious strife, extreme violence and mass reprisals. That the Lebanese people have never faced up to their past in a truth and reconciliation process is the hidden message of Incendies -- failure to confront history means that the present will never escape the long shadow of the past, and the future just wobbles on rotten foundations.